One thing inevitable in "Game of Thrones" Season 8 is the Great War that will be fought in the North, most likely at Winterfell. Jon Snow’s Northern army, Daenery’s forces, the Night’s Watch, and what was left of the wildlings at Eastwatch will face the Night King and its army of the dead. But one critical group could join the battle on the side of the living and significantly help Jon and Daenerys ultimately defeat the Night King. They are the followers of R’hllor or the Lord of Light from Volantis. In this aspect, Melisandre could play a crucial role. 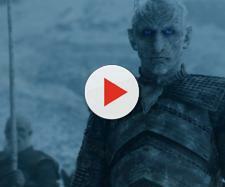 The scenario is among the numerous speculations widely discussed on the web, but unlike most “Game of Thrones” theories, this one has good grounds to stand on. 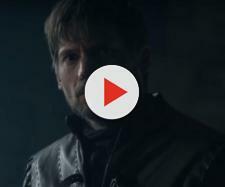 The likelihood of this scenario was already hinted in “Game of Thrones” this season through Beric Dondarrion who talked to Jon Snow about the Lord of Light while they were North of the Wall. Another good basis for this “Game of Thrones” Sseason 8 theory is the Red Priestess Melisandre, who left Dragonstone to cross the Narrow Sea on her way to Volantis. She told Lord Varys that she will come back one day to die in Westeros. Volantis is where the Red Temple, the main sanctuary of the faith of R’hllor, is located and it’s a good guess to assume that Melisandre is heading to the temple to talk to the head of their faith about the Great War coming in Westeros. Melisandre going to Volantis brings us to another element that will support this theory— the High Priestess of the faith of R’hllor. Back in season six, Tyrion sought the help of Kinvara, the High Priestess of the faith of R’hllor in shoring-up the sagging popularity of Daenerys among the residents of Meereen. Kinvara told Tyrion there is no need to persuade her since she came to help Daenerys, whom she called the one that was promised. And she actually mentioned the Great War. The High Priestess said, “from the fire, she was reborn to remake the world...Daenerys has been sent to lead the people against the darkness in this war and in the Great War still to come." The red temple of the Lord of Light in Volantis is guarded by a group of slave army known as the Fiery Hand. One interesting information about these soldiers is the exact number of its members, which is a thousand no more no less. The members of Fiery Hand are described to wear an ornate armor over orange robes and their faces are branded with tattoos of flame. They are armed with spears whose points are shaped similar to a writhing fire. In the novel, "A Dance of Dragon," Tyrion actually saw one in Volantis guarding the High Priest of the Red Temple. All of these could very well raise the scenario of Melisandre heading to the Red Temple in Volantis to inform the head of their faith, the Red Priestess Kinvara, that the Great War is already upon Westeros. Kinvara, because of her belief that the Mother of Dragons is the “one that was promised,” could once again help Daenerys by sending the Fiery Hand together with Melisandre to Westeros to help fight the White Walkers and the army of the dead.